Their mission is to fight for abused women and children who can�t fight for themselves. They work somewhat �under the radar� to rescue women who have been kidnapped and to keep them safe from abusers. Allye, in the first book,�Defending Allye , mistakenly believes that they are a group of men gone �rogue� as that is typically what a mercenary is. But in the Mountain Mercenaries case they are more like vigilantes.They do what they can to right a wrong done to a woman or child. They work within the law as much as possible, and Rex has connections with law enforcement all over the country, and even outside it. But when push comes to shove, if they have to sneak in and out of a foreign country to rescue someone, they will. It�s all about bringing loved ones home to their families. The six men come to the group with specialized skills they learned in the respective branches of the military�Navy SEALs, Army Delta Force, British SAS, even the Coast Guard. Each member has their specialty, but they�re all more than capable of doing whatever it takes to get the job done. In� Defending Chloe, book 2, Ronan �Ro� is minding his own business at his out of the way house and mechanic garage in Northern Colorado Springs when a case literally comes to this door. Chloe is sporting some nasty bruises and is acting exactly like the abused women Ro has chosen to spend his life protecting. Of course, he can�t forget about her after she leaves and that leads the Mountain Mercenaries to try to save someone right in their own city. In the process they learn that sometimes family isn�t the loving, safe place it should be. Chloe has to learn to trust Ro and his friends if she wants to escape the hell she�s been living in. Ro is a great Hero because he won�t take �I�m fine� for an answer when it�s obvious Chloe isn�t fine. Of course he expects her to welcome him with open arms and let him solve all her problems, but Chloe isn�t sure anyone can help her. But Ro is stubborn, and determined, and ultimately completely and utterly enchanted with how strong and tough Chloe is. I can�t wait for everyone to get to know Ro and Chloe, and get more insight to the Mountain Mercenaries and their mission! Love is the best defense in New York Times bestselling author Susan Stoker�s explosive Mountain Mercenaries novel. Gorgeous women don�t just stumble onto Ronan Cross�s remote property. But this one�vulnerable, victimized, and needing the kind of help only Ronan can offer�tells a story that makes his blood boil almost as hot as his need to protect her. Since her father�s death, Chloe Harris has become a prisoner. Her own brother, a flesh peddler and low-level player in the Denver Mafia, is forcing her to sell her body for an endgame Chloe never saw coming: control over a vast fortune. Her only way out is to run�straight into the arms of the one hard-bodied man she can trust. 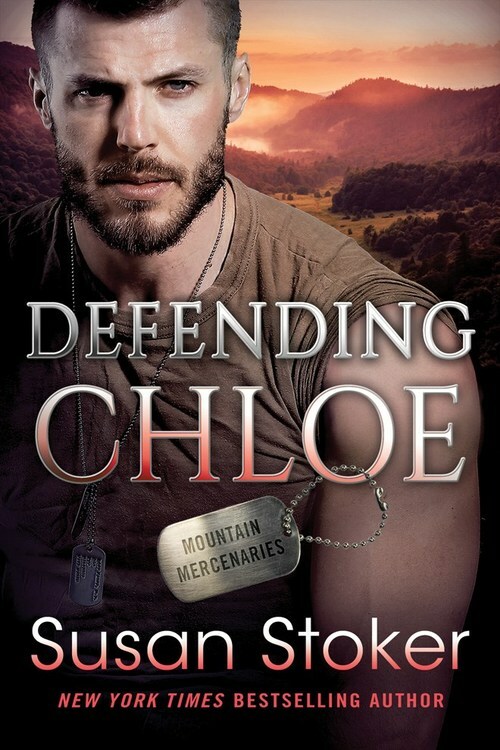 Defending Chloe could rain punishment down on the Mountain Mercenaries. Her brother has Mob connections and the local police in his pocket. But Ronan still has an edge�the unshakable loyalty of his deadly teammates. As well as an unquenchable thirst for retribution�and Chloe. 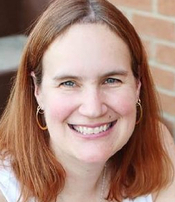 Susan Stoker is a New York Times, USA Today, and Wall Street Journal bestselling author whose series include Ace Security, Badge of Honor: Texas Heroes, SEAL of Protection, Unsung Heroes: Delta Force, and Mountain Mercenaries. Married to a retired army noncommissioned officer, Stoker has lived all over the country�from Missouri to California to Colorado to Texas �and currently lives under the big skies of Tennessee. A true believer in happily ever after, Stoker enjoys writing novels in which romance turns to love.